DESCRIPTION: Feb. 14, 2006. Boston, MA. Jonathan D. Scott, President & Executive Director of Victory Programs. 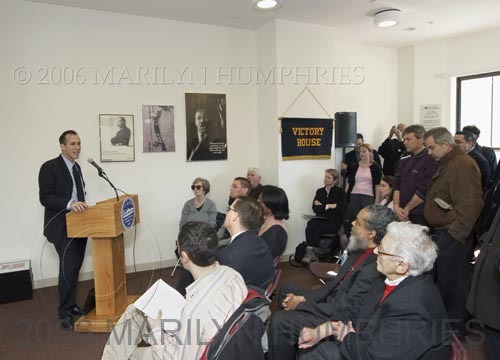 The re-opening ceremony of the Victory House, a residential alcoholism and substance abuse treatment provider to the gay community in the South End.